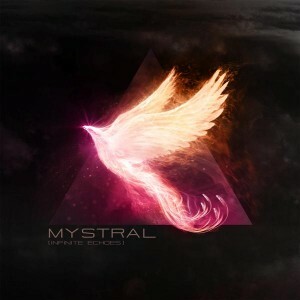 Mystral’s Infinite Echoes spins a web of audio intention, blending beautiful melody and atmospherics with hard hitting drums and bass lines to create a release with a finely balanced degree of depth and edge. Pulling from inspiration fueled by reggae, rock, and Middle Eastern traditional music, you can hear influences from conventional as well as electronic sounds. Cleverly sampled strings, horns, and live percussion are put in fluid progression with synths to drive songs along. Sounds merge and blend seamlessly to create an uplifting, and psychedelic effect. This is all put over a foundation of carefully crafted bass and drum grooves to keep your body moving and your heart expanded. MP3 Download | FLAC Download | WAV Download · Download count: 8,113.
да ну штамповка. говноглич заебал уже. один от другого хрен отличишь. This is nice! I first heard it on a cell phone and wasn’t sure. But good speakers made a world of difference. Иван, глитч это не Ваше, слушайте Аллу Пугачеву , у нее разнообразие. Dude, this is seriously awesome. Incredible grooves throughout, and excellent atmosphere. Me encanta! На вкус и цвет, как говорится! По мне так не плохо, я бы сказал даже есть интересные вещи!!! почему так много народу по-русски пишет? беспредел какой-то!